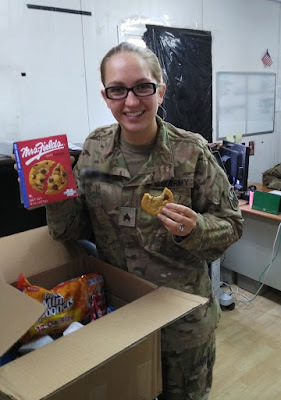 Care Packages for Soldiers: "You might've thought it was Christmas"! "You might've thought it was Christmas"! Here is a thank you note we received from a soldier that received some care packages we had mailed a few weeks ago. As you can see, a box filled with snacks and treats can make a big difference to their morale. I want to thank you from the bottom of my heart for the support you have shown us. We've been on a rigorous training schedule for the last six weeks and receiving these snacks really made the day for our soldiers. Especially the younger soldiers were so excited to be getting snacks, you might've thought it was Christmas the way they were acting, haha! There was also a communal feeling of affirmation for us to be getting together to take photos that would be seen by folks back home. It is a comfort of its own for us to be recognized this way for our otherwise unseen mission here. We are genuinely touched by your kindness and appreciate the perspective it has afforded us. From all of us here, thank you so much!! 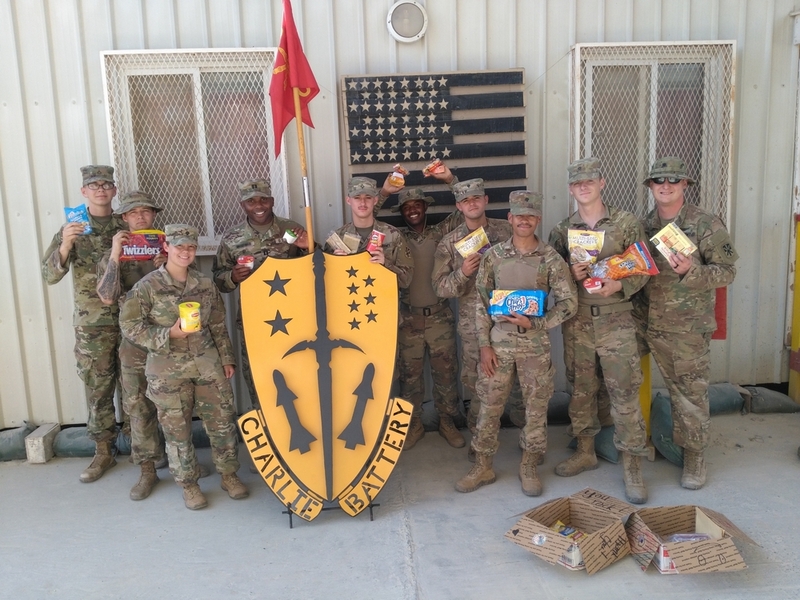 The care packages brought smiles to the faces of these soldiers! Chocolate chip cookies were a hit with this soldier. 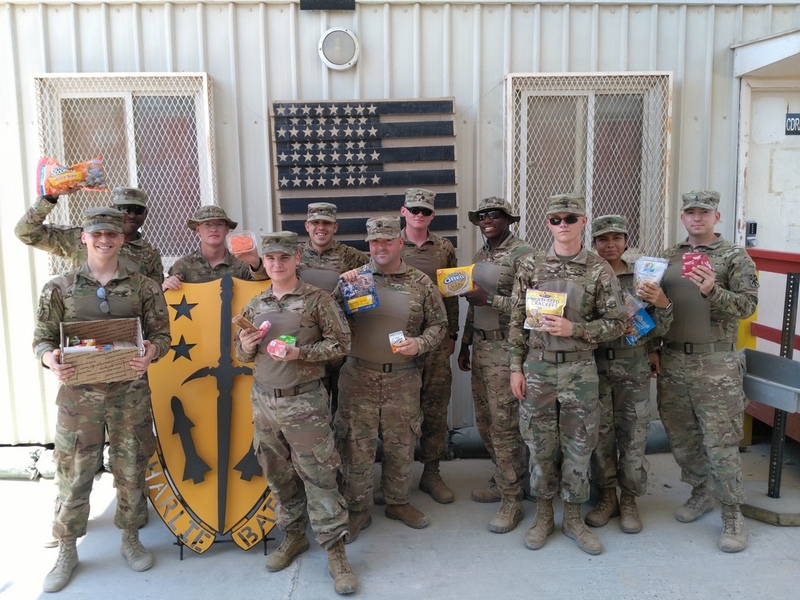 The care packages brought a taste of Christmas to this unit serving overseas. 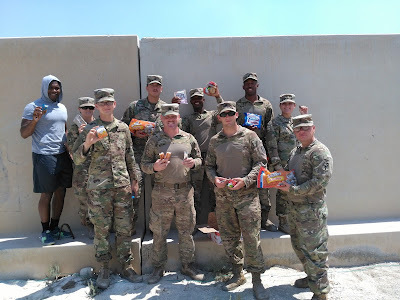 Even the smallest item was a big treat to these soldiers.